we may not have fallen in love with the whole peplum skirt trend - but we do like peplum blouses! here's a few we've spotted in a range of prices. from top left to right. i absolutely LOVE peplum! such great picks here! These are so awesome! 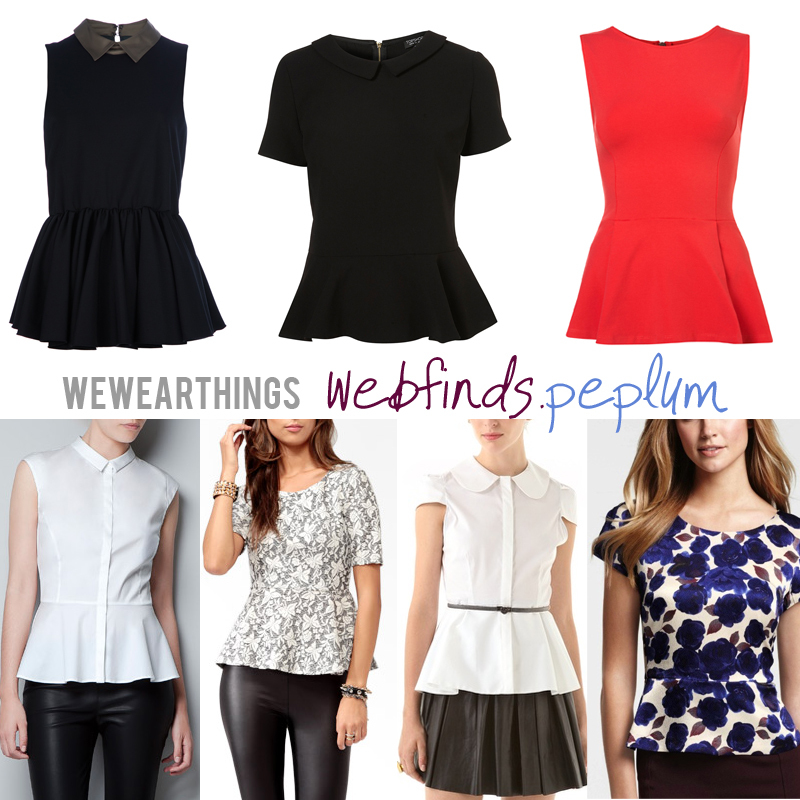 I've been looking for peplum tops! LOVE the topshop & Forever21 versions! Can't believe those were also the most affordable ones of the bunch too! Awesome picks! I love them all and can't choose!!! Well, at least now I know where I can get cute peplum tops aside from forever21. :) Thanks for sharing! yep, definitely digging peplum tops but not peplum skirts as much. great picks! You and your peplum finds. I swore off shopping this fall... Now you're making me squee my pants just trying to find extra funds. OMG I have to buy one of them! Peplum is my favorite trend right now! :) Your blog is awesome-just became a member/follower of your blog. I hope you'll follow me back and we can keep in touch. Happy Blogging!!! Love the black peplum top. So cute! i really dig the peplum... so flattering! Yay for peplum! I saw your comment about my peplum top on my blog..thank you! I love your blog...the content is great and the layout is beaaauuuttiiifull. Issa, I'm loving all these peplum tops. I can't get enough! LOL.